Effortlessly collect, show and manage customer reviews with the one and only Trustbadge® technology for your Magento website! Once integrated, it updates automatically. Magento 2.0 shops can download the free Magento 2.0 version here. As a Magento user, you can use a free Trusted Shops extension(compatible until Version 1.9.x), which you can download here. Please install the extension to integrate the Trusted Shops technology into your shop. Please note: If you have already integrated the Trustbadge® manually, please delete it before continuing. If you are using an old extension please deactivate it before continuing. Next, open the configuration menu in the back end of your Magento shop under System>> Configuration >> Services>>Trusted Shops or if you use Magento 2 you find it under Stores>> Configuration >> Services >> Trusted Shops. Enter your Trusted Shops ID (starting with X...) here and save the configuration. 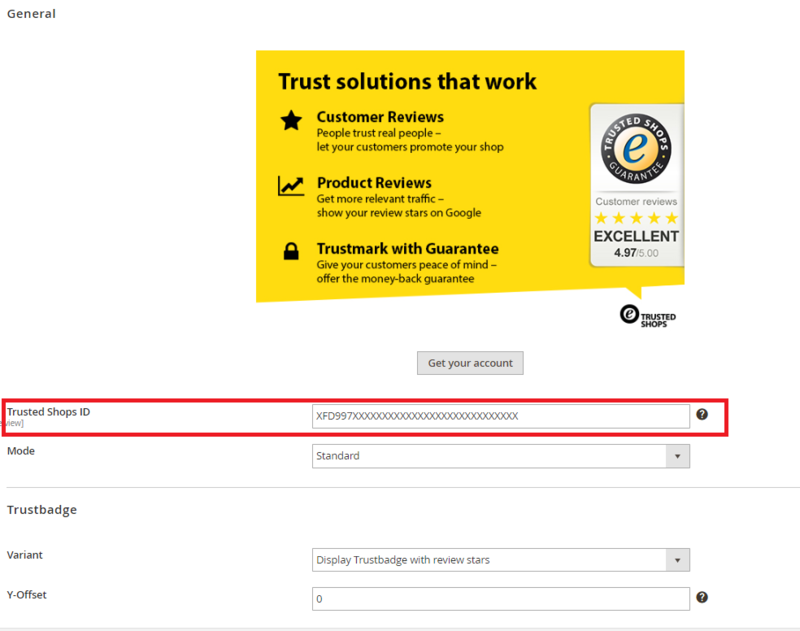 You can find your Trusted Shops ID, for example, in your My Trusted Shops Account or in your Welcome-mail. There you are! You have already successfully integrated the Trustbadge®! 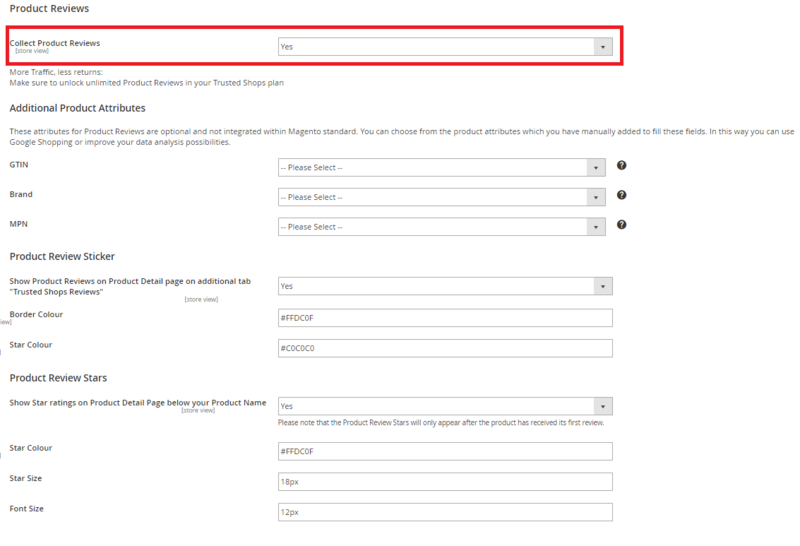 If you want to display your product reviews on Google Shopping and have booked a plan that includes this option, you can set which product attributes shall be used as GTIN, brand and MPN as well. Please note that these fields are currently not included in the Magento standard and therefore must be configured manually.